Seton's Custom Aluminum Asset Plates are backed by our 100% Satisfaction Guarantee! Select from a wide variety of Custom Aluminum Asset Plates at competitive prices. Plus most of our top-quality Custom Aluminum Asset Plates are in stock and ready to ship today. 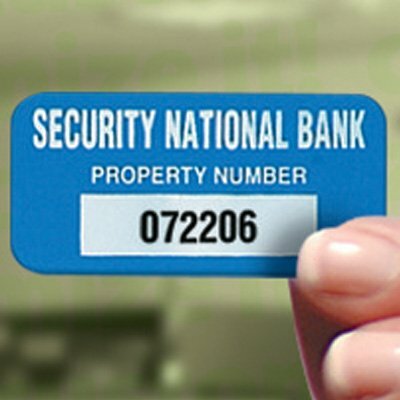 Custom aluminum plates identify equipment, valuables and more with your personalized security messages. Stainless steel, brass or aluminum plates are a durable, efficient means of identification.